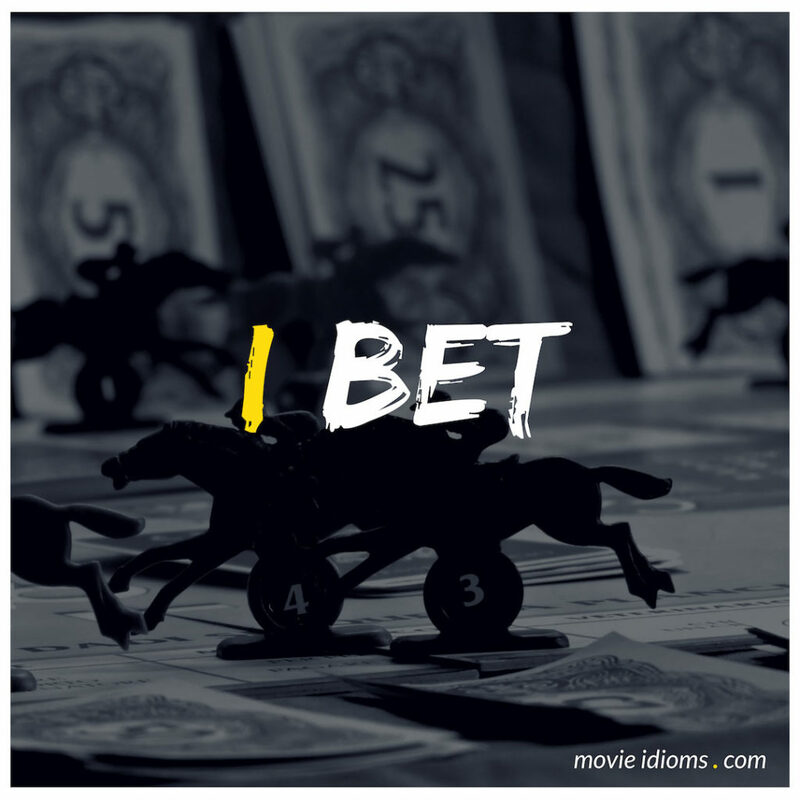 What does I bet mean? Bill: Do you find me sadistic? You know, I bet I could fry an egg on your head right now if I wanted to. You know, kiddo, I’d like to believe that you’re aware enough even now to know that there’s nothing sadistic in my actions. Well, maybe towards those other jokers, but not you. No kiddo. At this moment, this is me at my most masochistic. The Bride: Bill, it’s your baby. Donna: Somebody up there has got it in for me. I bet it’s my mother.